You can do whatever you like but if you do it the wrong way, you will be hit with FBT, which can significantly elevate the costs of Christmas, or leave you unable to claim the festive expenses as a deduction. Not even Christmas escapes the Tax Office! Baah humbug. The good news is that if you know the rules, with a bit of planning you should be able to avoid the tax pitfalls. The rules are different depending on whether the party is held on your business premises or externally. If the party for employees is held on your business premises on a working day, the provision of food and drink to employees is classified as an ‘exempt property benefit’, so it is not counted for FBT purposes. This rule does not apply to family members, so FBT will be triggered if they attend but your business should be entitled to deductions and GST credits for part of the cost. If you hold the party at a restaurant or somewhere away from the business premises then you are inside the FBT net but you still may be able to avoid any liability. Under the minor benefits exemption, provided the total cost per person is less than $300 then the benefit will not be counted for FBT purposes. If your staff are bringing partners or family to the party this exemption extends to them. The bad news is that if you avoid paying FBT on the Christmas party, you cannot claim GST credits or a deduction for the expense. If your party costs more than $300 per person then you will be caught by FBT but you can at least claim GST credits and a deduction. The cost of providing a Christmas party for clients is not deductible (and not subject to FBT). If you are really taken with the Christmas spirit and decide to provide your staff with a gift, then the minor benefit exemption also applies to this gift. So, if you give your team a gift with a value of less than $300 this would generally be exempt from FBT. Gifts of $300 or more will generally be subject to FBT in the hands of the employer. 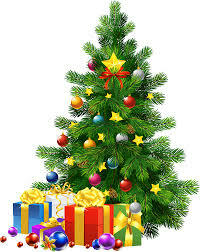 The $300 threshold for gifts applies in full even if the gift is provided at a Christmas party. Employers can generally claim deductions and GST credits for the cost of gifts that are provided to employees. The main exception is where the gift relates to entertainment (e.g., theatre or sporting tickets, holiday accommodation etc). If the gift relates to entertainment, the business can only claim deductions and GST credits if the gift is subject to FBT. The gift will motivate the client to refer the business to others. Businesses cannot claim deductions or GST credits if the gifts relate to entertainment. Gifts to clients should not be subject to FBT. To avoid any FBT liability simply plan your Christmas celebrations around these minor benefit numbers and, as with all things, make sure you keep the paperwork to support your calculations. This should include details of the cost of the party plus a list of attendees. Armed with this information, Scrooge, in the form of the Tax Commissioner, will not spoil your party.